Salsa On 2 PRACTICE session. 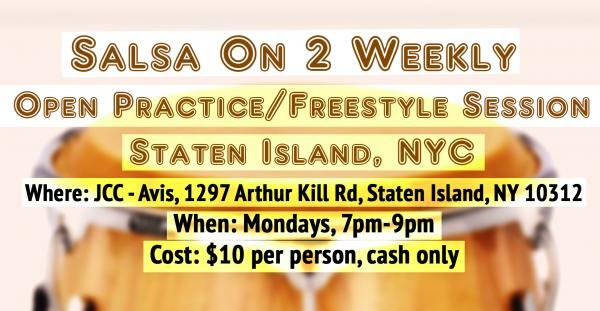 ALL levels of skill are WELCOME to attend this practice. This is NOT a Salsa class where you will learn choreography or routines. I am NOT a teacher, but I’ll be able to show anyone the basic steps for those who have never danced Salsa before. Session will be open to practice other styles of course! !, but Salsa would be the music playing. If you have any questions PLEASE let me know in the facebook group!! !